Cannabidiol (CBD) is the main non-psychotropic component of the glandular hairs of Cannabis sativa and belongs to the so-called ‘cannabinoids’ (CBs). This term refers to a heterogeneous family of molecules usually exhibiting pharmacological properties by interacting with specific receptors. So far, two membrane receptors for CBs, both coupled to G protein and named CB1 and CB2, have been identified. While CB1 receptors are mainly expressed in the central and the peripheral nervous systems, CB2 receptors have been reported to be more abundantly detected in cells of the immune system (for review see Pertwee, 2006). 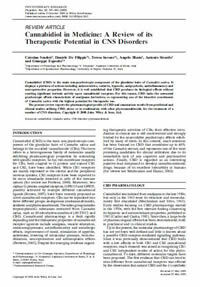 Moreover, two orphan G protein-coupled receptors, GPR119 and GPR55, possibly activated by multiple different cannabinoid ligands (Brown, 2007), have been recently proposed as novel cannabinoid receptors. 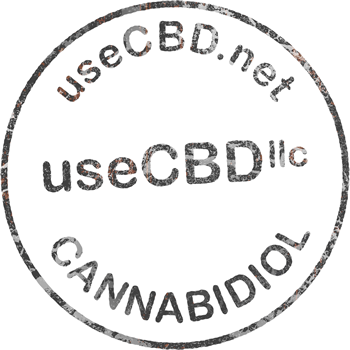 CBs can be separated into three different groups: endogenous (endocannabinoids), synthetic and phytocannabinoids. The latter group includes terpenophenolic substances extracted from Cannabis sativa, such as Δ9-tetrahydrocannabinol (Δ9-THC) and CBD.